This will be a brief celebration of life. Steven Wayne Durga, 59, of Fife Lake, beloved husband of Carol L. Durga, a loving father, grandfather, brother, and son passed away Thursday, February 8, 2018. He was born on April 8, 1958 in Traverse City, the son of Robert James Sr. and Donna Marie (Spaulding) Durga. Steven graduated from Traverse City Central High School in 1976. He then took positions in the oil field and then transitioned to OTR truck driving. He loved to camp, and enjoyed motorcycle riding. 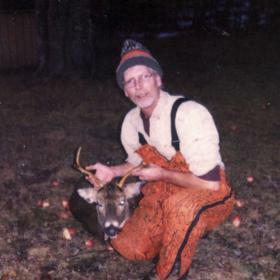 He was an avid outdoorsman, enjoying hunting and fishing. His great love was spending time with his family, especially his sons and grandchildren. 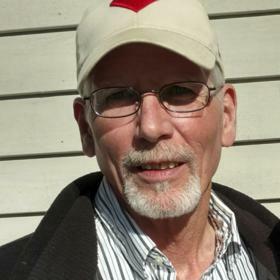 Steven is survived by his wife, Carol; they were married on July 15, 2017; the anniversary of their first date 16 years prior; sons, Wayne (Chrissy) Durga of Lake Ann and Chris (Amy Wilcox) Durga of Flint; grandchildren, Owen, Dominic, Wyatt, Mason, and Cooper; parents, Robert and Donna Durga of Lake Ann; sister, Dianna (Tom) Hepner and brother, Robert Durga Jr. both of Traverse City, step-son, Adam Cook of Traverse City; nieces and nephews Nichole, Jenny, Andy, Grant, Rick, Rob, Randy, Tammi and Tiffany; sisters and brothers-in-law, lifelong friend BJ Schopieray, and many special friends. Steve “OMD” will be missed and loved. He is preceded in death by his sister, Connie Winn. An informal gathering will be held from 1pm to 3pm, Friday, February 16, 2018 at Life Story Funeral Home, Traverse City. A brief celebration of life will start at 3pm. Memorial Contributions may be made to Steve’s favorite charity, St. Jude’s Children’s Hospital, 501 St. Jude’s Place, Memphis, Tennessee 38105 or at www.st.jude.org/donate. Please visit www.lifestorytc.com to sign the guestbook and share your thoughts with the family.